The classic children’s card game Memory just had a facelift with these gorgeous and individual sets. 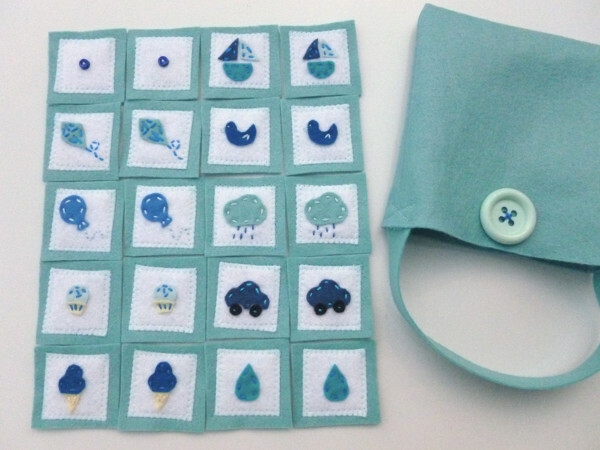 MamieCo is the creative mind behind these lovely little Memory games. 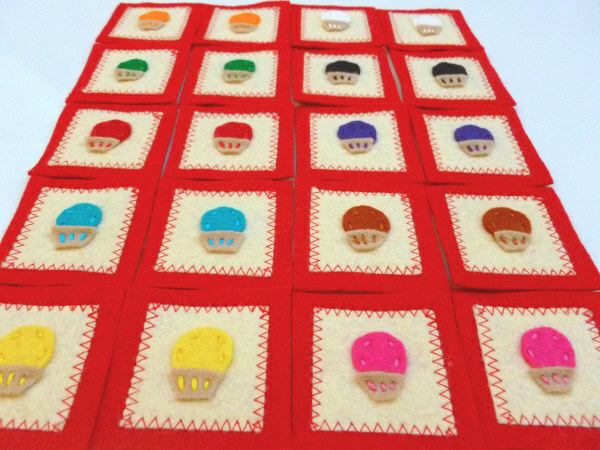 Handmade from felt, each of these cute, cute, cute little sets includes ten matching pairs, and comes in its own adorable little felt bag. The sets differ not only in colour and pattern, but also in difficulty, so even quite small children should still be able to play. What a great way to learn about colours and shapes and matching! Choose between sets based on colour (like the Blues Hues set below) or topic – fruit and vegetables, cupcakes and flowers feature prominently. The sets can be personalised with your child’s name too. 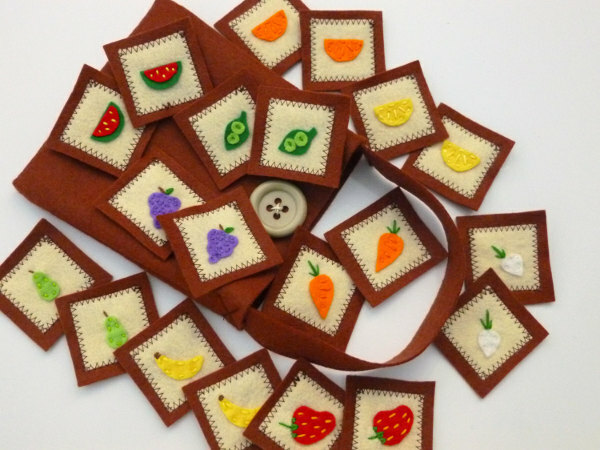 I love that they are so lightweight and portable – the bag means they are easy to pack away and easy to pop in your own bag for quick trips out where your child might need some diversion. You can have a look at all the sets currently in stock at MamieCo. Each set is $32.28 (at current conversion rates) and postage to Australia comes in just under $10.